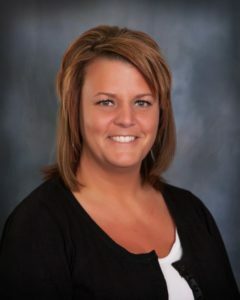 Alesha Jernas from Pinnacle Insurance Group of Indiana, Inc. in Hobart is the winner of the 2015 IIAI Distinguished Customer Service Award. The award is presented annually at the annual Independent Insurance Agents Convention in Indianapolis in memory of Ethel Heckman, IIAI’s Director of Administration from 1948 to 1983. The criterion of this award recognizes an employee of a member agency who demonstrates loyalty, dedication to the achievement of results and continued professional growth in the servicing of the agency’s clients. Alesha is a commercial lines customer service agent with Pinnacle Insurance Group. She is currently completing her CSRM (Certified School Risk Manager) designation and plans to work towards her CIC (Certified Insurance Counselor) designation next. She is responsible for day-to-day servicing, claims, communication, quoting, and correspondence on commercial accounts.